30 years ago, the rock music landscape was forever changed by the 1987 debut album, Appetite For Destruction by the L.A. band Guns N’ Roses. 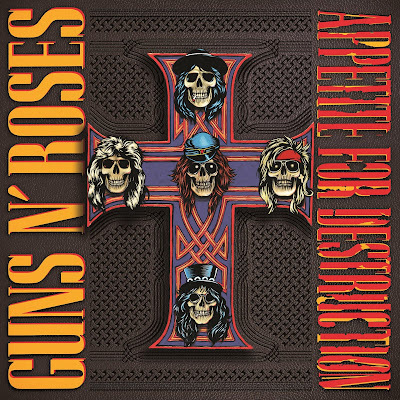 In honor of and tribute to this beyond-legendary album, Geffen Records/Ume has reissued Appetite For Destruction in an incredibly massive new remastered and expanded edition that is a fitting tribute worthy of the album. Led by the anthemic hit singles, “Sweet Child O’ Mine”, “Paradise City” and the stadium rock standard “Welcome To The Jungle”; Axl, Slash, Duff, Izzy and Steven created a defiant new sound that was bluesy, punk-informed and felt dangerous compared to the image-focused pop-metal that was coming out of the L.A. scene at the same time. 30 years later, the songs on Appetite For Destruction are classic rock station standards and will be so for generations to come and for good reason. 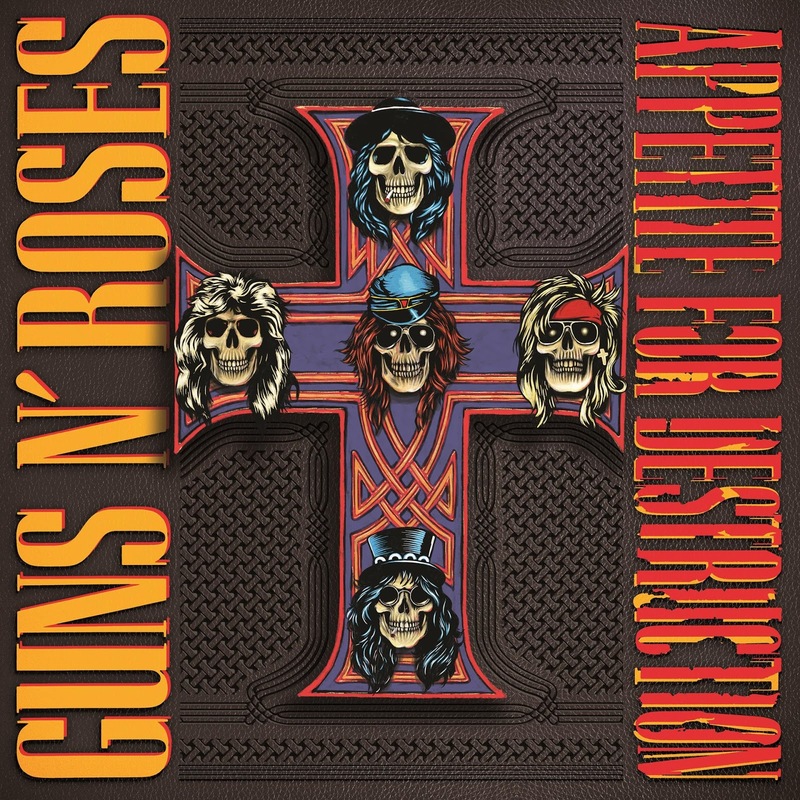 The remastered and expanded reissue of Appetite For Destruction is available in several different versions including digital and on a 2CD set which includes the original album remastered for the first time form the original analog tapes and a second disc of 18 B-sides and live versions highlighted by the unreleased track, “Shadow Of Your Love”. A 180g 2LP set is available with a Hologroove Hologram of the GNR Logo on side four. The absolutely insane Locked N’ Loaded version will run you $1000, is detailed here: https://youtu.be/S8jOpcuLEs0 and features special items such as patches, a bandanna, guitar picks, replica show tickets from the era, a turntable mat, rings made in the image of each band member’s skull face from the album art and more. A 5-disc Super Deluxe Version is also available, which includes the album and music videos from the album mixed in 5.1 on Blu-ray disc.